Ellen DeGeneres was born today, January 26, in 1958. She is a comedian, television host, actress, writer, and producer. Her very public coming out of the closet (and of her TV persona) in the 1990s opened the door for countless LGBTQ people to live honest and out lives. She is considered by many a hero and role model who bravely lives her life honestly and openly. She's funny too. Her stand-up career started in the early 1980s, and included a 1986 appearance on The Tonight Show Starring Johnny Carson. As a film actress, DeGeneres starred in Mr. Wrong (1996), appeared in EDtv (1999), and The Love Letter (1999), and provided the voice of Dory in the Pixar animated films Finding Nemo (2003) and Finding Dory (2016); for Nemo, she was awarded the Saturn Award for Best Supporting Actress, the first time an actress won a Saturn Award for a voice performance. In 2010, she was a judge on American Idol for its ninth season. She starred in two television sitcoms, Ellen from 1994 to 1998, and The Ellen Show from 2001 to 2002. 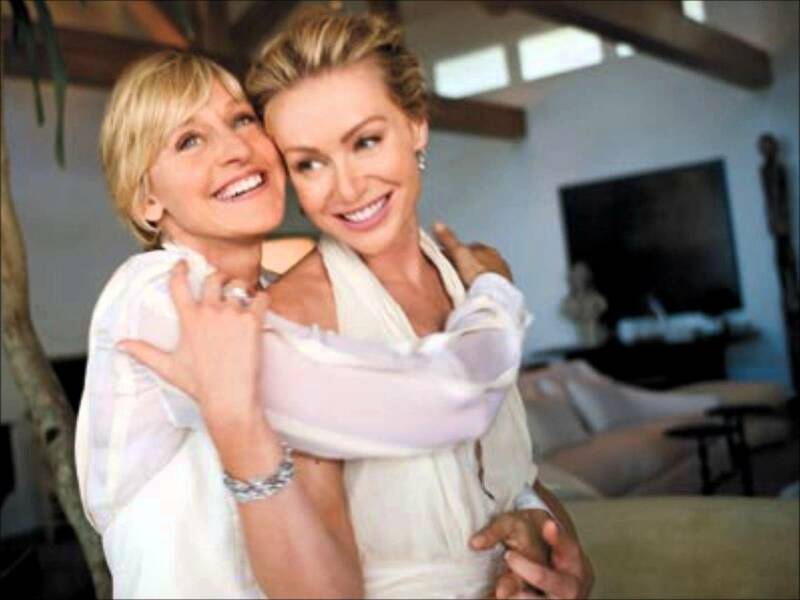 During the fourth season of Ellen in 1997, she came out as a lesbian in an appearance on The Oprah Winfrey Show. Her character, Ellen Morgan, also came out to a therapist played by Winfrey, and the series went on to explore various LGBT issues, including the coming-out process. This made her the first openly lesbian actress to play an openly lesbian character on television. DeGeneres has hosted the Academy Awards, Grammy Awards, and the Primetime Emmys. She has authored four books and started her own record company, Eleveneleven, as well as a production company, A Very Good Production. She also launched a lifestyle brand, ED by Ellen. She has won 30 Emmys, 20 People's Choice Awards (more than any other person), and numerous other awards for her work and charitable efforts. DeGeneres was born and raised in Metairie, Louisiana. DeGeneres started performing stand-up comedy at small clubs and coffee houses. By 1981, she was the emcee at Clyde's Comedy Club in New Orleans. DeGeneres cites Woody Allen and Steve Martin as her main influences at this time. In the early 1980s she began to tour nationally, and in 1982 she was named Showtime's funniest person in America. In 2015, DeGeneres was named the 50th most powerful woman in the world by Forbes and number two on the World Pride Power list. The disclosure of DeGeneres's sexual orientation in 1997 sparked intense interest by American tabloids. The contentiousness of the media coverage stunted DeGeneres' professional career and left her "mired in depression". 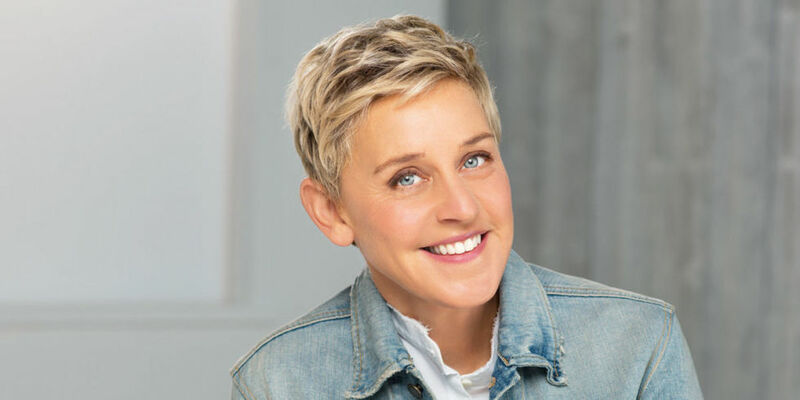 In her book Love, Ellen, DeGeneres' mother, Betty DeGeneres describes being initially shocked when her daughter came out, but she has since become one of her strongest supporters; she is also an active member of Parents & Friends of Lesbians and Gays (PFLAG) and spokesperson for the Human Rights Campaign's Coming Out Project. "It’s easy to forget now just how much courage was required for Ellen to come out on the most public of stages 20 years ago," Mr Obama said as he praised the comedian and actress publicly coming out as gay. He said her bravery was important not only for the LGBT community, but helped "push our country in the direction of justice". "What an incredible burden that was to bear - to risk your career like that - people don't do that very often. And then, to have the hopes of millions on your shoulders," he said during the award ceremony at the White House. "It's like Ellen says: we all want a tortilla chip that can support the weight of guacamole... Which really makes no sense to me, but I thought would break the mood because I was getting kind of choked up," the president said to laughter.